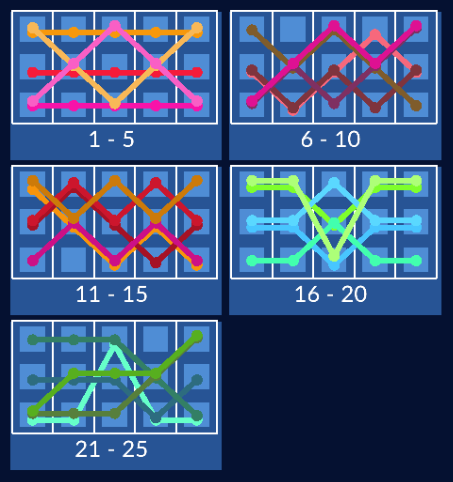 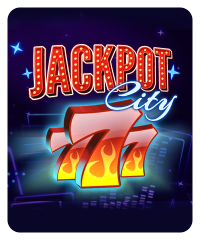 In this traditional, casino-style slot machine, spin the reels and you’ll get 25 lines to win on. 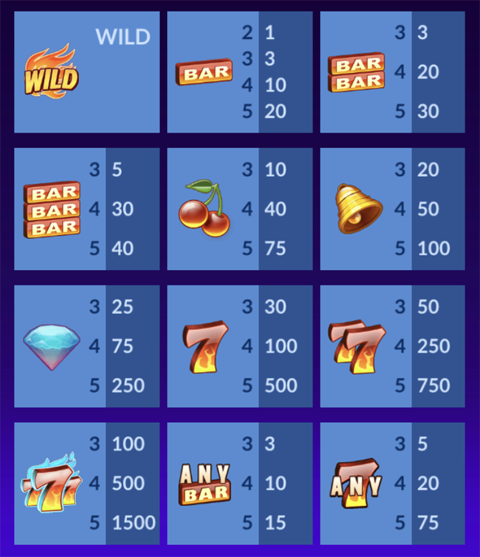 Get 3 bars or 3 7s on a payline and you’ll win. 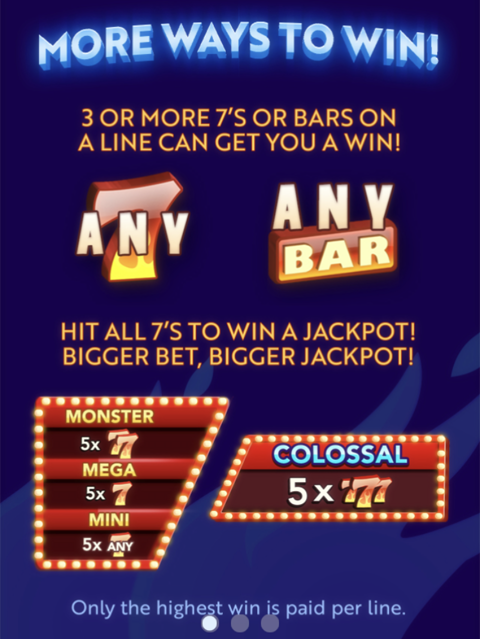 Progressive jackpots range up from Mini, to Mega, to Monster, to Colossal when you get 5 7s on a payline.